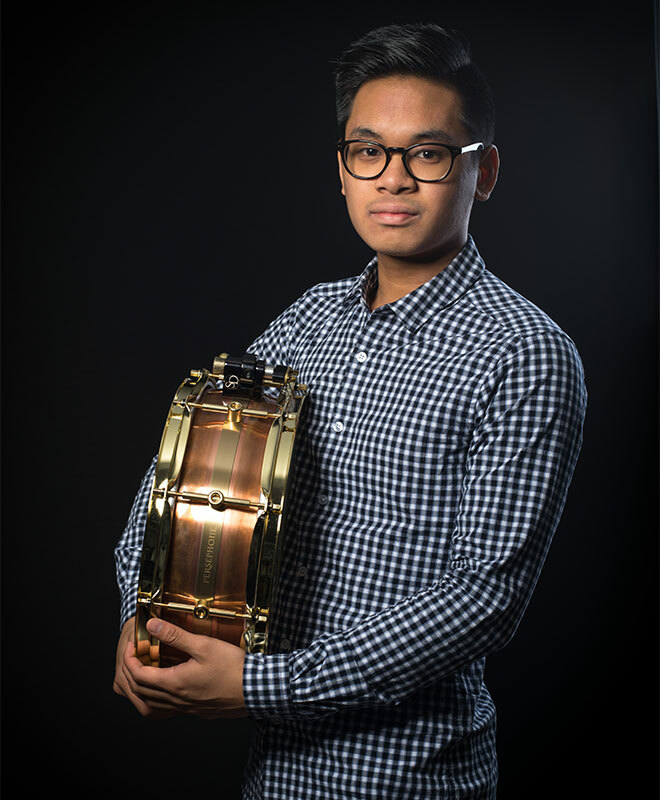 Patrick “Patty” Danao began his love affair with music at an early age when he was placed on the throne of his fathers drum kit at 11 months old. Since then he hasn’t looked back having traveled the world and performed with the likes of James Morrison, Wycliffe Gordon, Jeff Clayton, Marian Petrescu, Kate Ceberano, Darren Percival, Brian Kellock, Joe Chindamo, Troy Roberts and many more. Now 21, Patrick is regarded as one of Australia’s best up and coming drummers. Patrick is currently in his Honors year at the James Morrison Academy of Music, in Mount Gambier, South Australia. In 2016, Patrick received his Bachelor of Music degree from the Academy, studying under Australian jazz greats Graeme Lyall, David Jones, Mat Jodrell, Phil Stack and Carl Mackey. During the final year of his Bachelor studies, Patrick was the inaugural recipient of the Academic Excellence Award. He was also a member of the top-tier jazz orchestra and was featured on their debut album, “James Morrison with his Academy Jazz Orchestra”. The album was toured across the US, where the band performed at the 2017 Jazz Educators Network Conference in New Orleans, the prestigious Dizzy’s Club Coca-Cola in New York City, the legendary Green Mill in Chicago as well as a collaboration with the Grammy-Nominated One O’Clock Lab Band at the University of Northern Texas. Prior to studying at the Academy, Patrick attended the Newtown Performing Arts High School and was heavily involved with their music program, regularly performing at the Sydney Opera House. Play-off Winner (2003, 2008), Australia’s Best Up & Coming Drummer Winner (2007, 2010), Australian Percussion Eisteddfod Drum-kit Solo and Snare Solo Winner (2009. As a result, Patrick was given the opportunity at the age of 8 to perform as an opening act for Mike Mangini (Dream Theatre) and played alongside Omar Hakim (Weather Report, David Bowie). Over the past year, Patrick has been a regular member of James Morrison’s Quartet. He has toured in over 9 countries with sold out shows at Ronnie Scott’s Jazz Club in London, Dizzy’s Club Coca-Cola in New York and with the Czech National Orchestra for the Prague Proms. The Quartet has recently recorded an album with the BBC Orchestra at Abbey Road Studio’s famous “Studio 2”.